Get Poppin’ and Win Tickets!!! High-earning, skill-based balloon pop game. Players stop the spinning light to land on values that crank the air pump to inflate a balloon with each play. 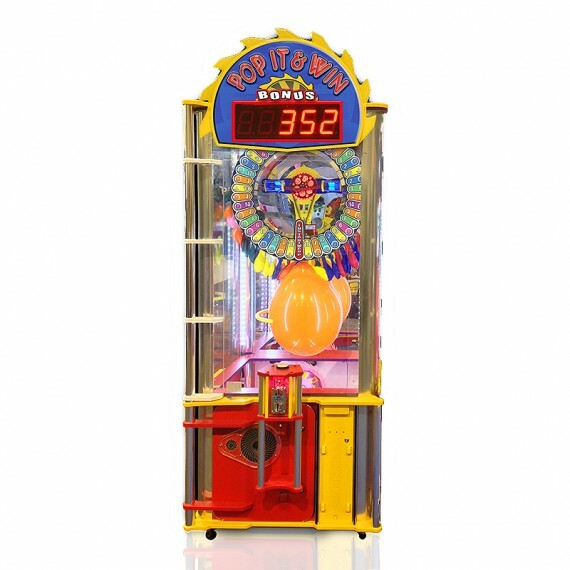 The game objective is to inflate the balloon to strike the Spinning Saw Blade for tickets and game celebration component- a resounding POP! Players can “pump up” the number of tickets won by stopping the light on “Instant Pop” to activate progressive Bonus ticket feature. Players and bystanders alike are both startled and delighted by the balloon pop. Pair with Monster Drop or Monster Drop Single or visual impact and enhanced revenues.